This review is the second in our series of two Adaptec RAID adapter products. Earlier we reviewed the 6805E RAID adapter which is considered a entry level RAID card in the Adaptec line. For comparison you can read through that review here. The “E” version of the card represents an inexpensive RAID solution and did provide better scores then an on-board RAID chip. This review is focuses on the 6805TQ RAID adapter which has the newest feature of FAST maxCache 2.0 which uses an SSD to cache out the data in order for the data to be Written/Read to the RAID volume at a faster speed than any standard HDD heads can seek to Read/Write the data. This time through we took the results of the 6805TQ RAID adapter and added them to the bar graphs we generated for the 6805E review. With all these results compiled into one graph, you will be able to see the difference between a single connected HDD, on-board RAID, 6805E and the 6805TQ adapters. 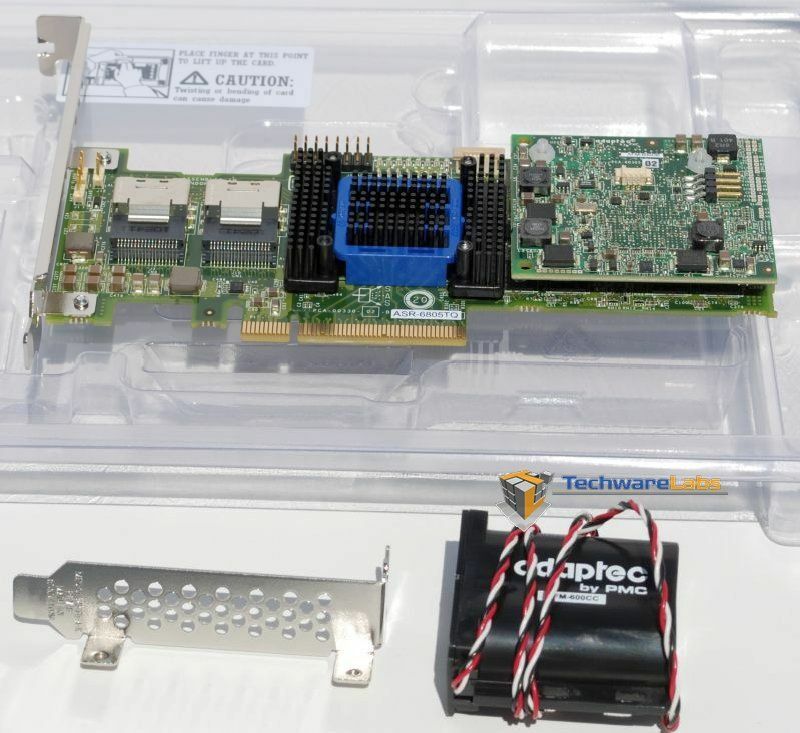 The 6805TQ ($850) being considerably more expensive than the 6805E card ($230), it is likely the 6805TQ adapter would appeal to large companies who are looking to build a server-like workstation that is accessing, Reading, writing data on such a grand scale that the additional cost of the 6805TQ wouldn’t even be considered an issue. So, let’s see what the 6805TQ is capable of, shall we?